American Craft Beer Week and YOU! American Craft Beer Week is a time for celebration and cultivation, so we’ve got lots of things in the pipeline including new beers and old favorites on tap at the brewery and select bars and restaurants. We’re also putting on some pretty incredible events all for you! First up, the usual and unusual suspects: We will be hosting trivia, Thursday, May 18, at 7:00 pm as per usual. We will also be showing Jaws on our big screen projector in the lawn. Smokin’ Aces will be catering so you can have yourself a movie picnic right on the lawn. Movie starts at 7:30. Juke Joint night will be in conjunction with Wonder South’s River Riders, see below. Lastly, Yoga on Tap is happening tonight and every Wednesday until we say so from 6:00pm-7:00pm! The Main Event: Wonder South’s River Riders begins Sunday, May 23, from 2:00pm- 9:30pm. The bike ride begins at 3:00pm, the live music begins at 5:00pm and the crafts show starts at 6:30pm. Wonder South has lined up Somos Bandidos to slow cook us some delicious tacos and all of the proceeds from this event will be donated to Wheels to Succeed. Wheels to Succeed is a charity that creates adaptive bicycles for children with special needs. Check out the details at the Facebook event HERE and bring your bike for a great end to American Craft Beer Week! Lagniappe: We’re so glad you all loved the New England Styled IPA. We plan to have it this released in a much larger scale sometime this year, but we’re happy you got to enjoy our test batch on Tuesday night. We have the Double Dry Hopped Juke Joint on for the rest of this week. Starting Saturday May 20, the Chicken Wire Bock will also make a triumphant return. 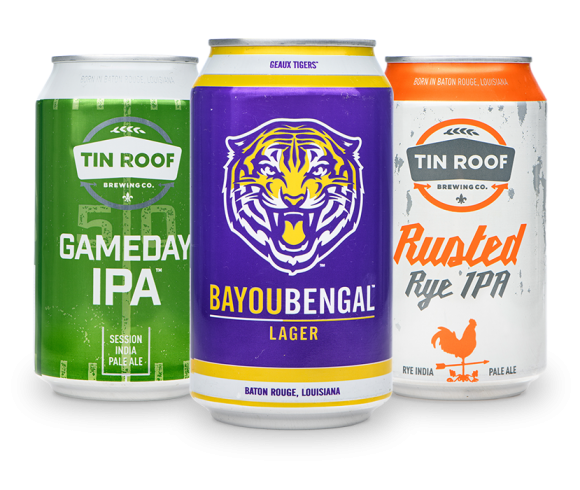 Lastly, if you can’t get enough American Craft Beer Week, Head Cellarman Robbie will be at the East Baton Rouge Parish Library this Wednesday evening starting at 6:00pm to sample beer and talk beer history with folks. Enjoy the beer this week y’all!